Wanna come to Float 2019? Float Festival is brought to you by Yolk and The Vibrancy Hub. All comms will come from a Yolk inbox so keep your eyes peeled! Come to Float for a day you'll never forget. 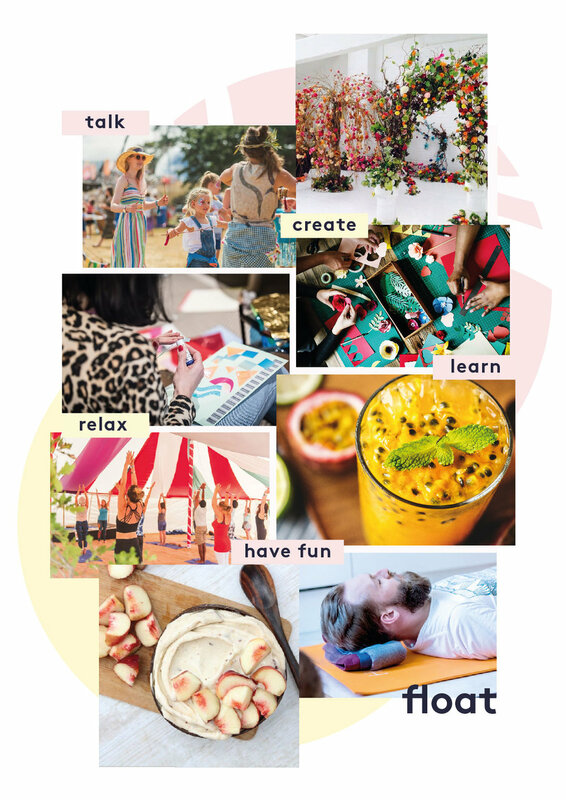 Enjoy food, drink, music, talks, amazing independent pop-up shops, free reflexology, free massages, free modern meditation, free outdoor yoga, pop-up performances, flash mob volleyball, photography exhibitions and to top it all off we've got biodegradable glitter. For full list of our workshops and talks see here. *Float Festival is brought to you by Yolk and The Vibrancy Hub. All comms will come from a Yolk inbox so keep your eyes peeled! Sign up with your email address to receive words and wisdom into your inbox every Tuesday. In a world of sink or swim, let us be your Float.